Doug has been working with performer Ian Mozdzen (Out Of Line Theatre) since 2009, developing a number of performance works (Monopoly Man Pit, Dalnavert Copperfield, Hollywood Hen Pit). Another ongoing project is Nippon Maru, an animated video being developed with Larry Glawson (computer animation) and Cathy Nosaty (music and audio). 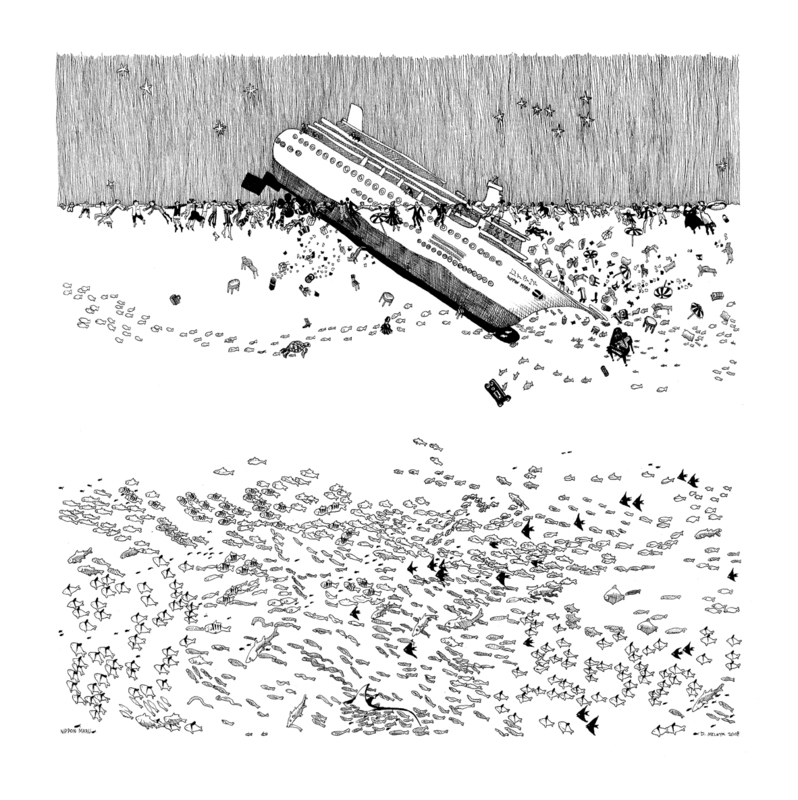 Nippon Maru is an animation derived from Melnyk’s existing drawings, silkscreens and cut-paper work, and tells the story of a small cruise ship that flounders and sinks in tropical waters, and follows the fates of her unlucky passengers, a number of whom exist briefly on a small island.